The super-concentration and handling of concentrates for the neighbor helped me understand much about the operation, the soil, the tailing and gold inside. It was not all how I have expected it. One need to see it practically, to understand what is required to handle such soil. the amount of actually crushed sand, and not crushed sand, and the fact that a "wet mill" or locally made hammer crusher is not even grinding such sand, it is rather helping in better sepration of gold. Very little is actually being crushed again. that there is so much fine gold, and that fine gold is mostly lost in these operations. 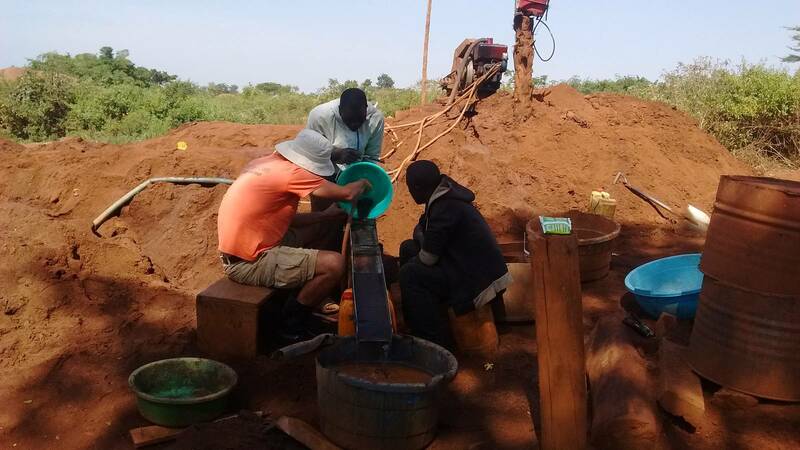 Yes, we recover fine gold, but that same fine gold is lost if miners use rudimentary sluices or inadequate and inefficient equipment.